Liana Finck’s A Bintel Brief, reviewed. A new comic illustrates the desperate missives sent to an immigrant advice column in old New York. A panel from A Bintel Brief, by Liana Finck. Starting in 1906, the Forward began running an advice column for Eastern European Jewish immigrants to the tenements of New York City. The column, “A Bintel Brief”—Yiddish for “a bundle of letters”—gave the voiceless community a chance to ask about love and loss, to express the challenges and triumphs of assimilation into American life. Each letter in the column was selected and thoughtfully answered by the Forward’s legendary editor, Abraham Cahan, and the column now gives us a surprising picture of the everyday life of a disappeared turn-of-the-century culture. 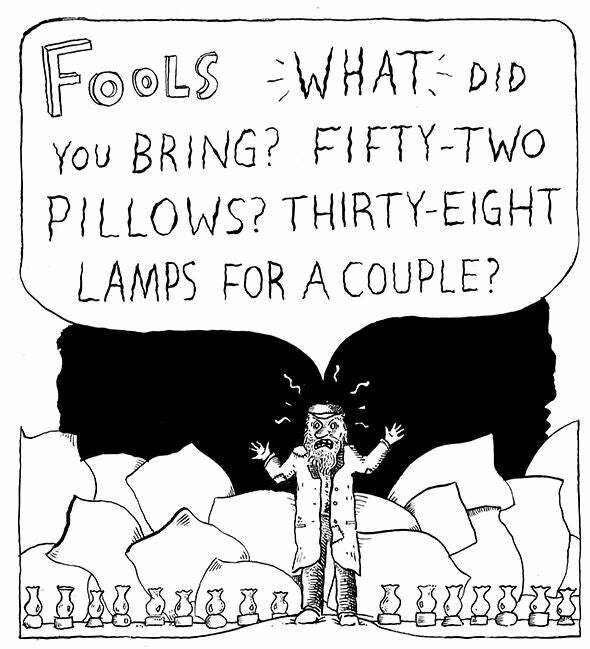 In her first graphic novel, Liana Finck collects some of the many letters that ran in A Bintel Brief, illustrating them in a sharp, evocative style that reminds me sometimes of Ben Katchor and other times of Roz Chast. Finck’s book is more than a collection of advice columns, though—it’s an imaginative leap into the art of nostalgia, with Finck bringing Cahan back from the pages of the Forward to the modern world, where the artist and the editor debate life, love, and the pleasures of insularity and the temptations of assimilation. I really loved A Bintel Brief, and I’m delighted to have Liana Finck illustrating the June issue of the Slate Book Review. A Bintel Brief: Love and Longing in Old New York by Liana Finck. Ecco.